When is the last time you met a perfect person? Do you have a perfect friend? How about a perfect client? How about a perfect product? Do you know of a perfect brand? The truth is you can never be perfect. Humans are not perfect. Each one of us makes mistakes. We each have a unique wackiness about us. It's our quirks, scratches and bumps that make us human and that help us connect with one another in simple, meaningful and memorable ways. Brands can never be perfect because they are made up of human beings, which are not perfect. Many business and marketing leaders avoid embracing social technologies and methodologies because of their desire to be perfect. They fear making a mistake and looking like a fool in front of the social universe online. When they do make a mistake some of these same brands run and hide instead of owning the fact they made a mistake and showing their human, imperfect side. Your customers, audience and online community will appreciate the fact you are human and aren't afraid to show it! They will be happy to see you own mistakes. How you handle these mistakes can help your brand shine and nurture relationships if done right. 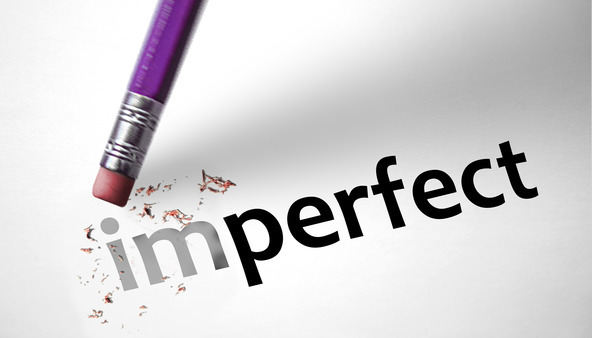 It is time that marketing and business leaders embrace imperfect perfection. Embrace what makes your brand human. Let your brand shine from the inside out. Your brand is going to be exposed from the inside out before it is transformed. Waiting to embrace the latest social technologies until you, your brand and your team is perfect is going to do nothing but waste time. Social media is about relationships and connecting one to one with other human beings. It's both art and science. It's imperative brand and marketing leaders learn now how to embrace the human factor and quit expecting their teams to be perfect or to develop and launch a perfect social media program. In this episode of the Social Zoom Factor podcast I discuss why you must humanize your brand in a way that enables relationships to be built with the people within your business. I also share case studies of two brands (Brighthouse and HostGator) who boldly embrace imperfect perfection and have earned the loyalty of our agency, Marketing Nutz, time and time again.